WHAT(!) was I thinking? 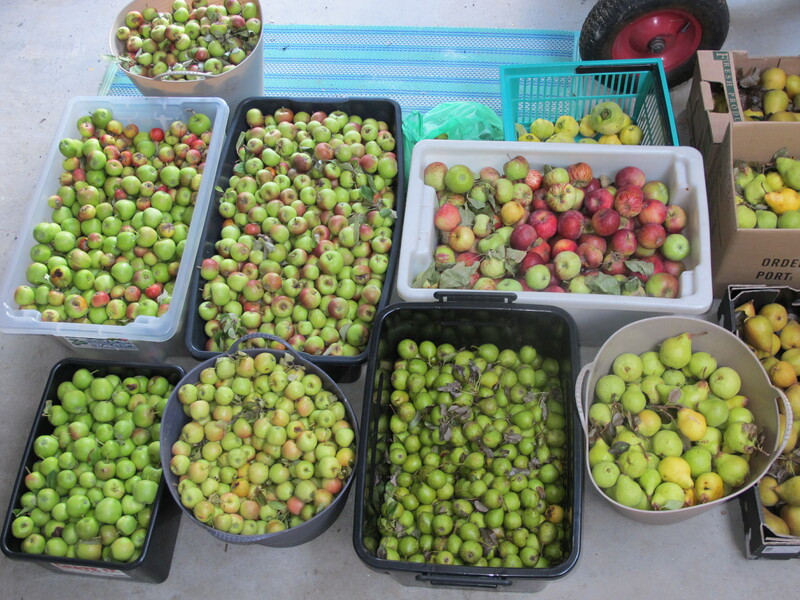 There is so much produce needing to be preserved here today – red and green tomatoes, quinces, apples, pears, crabapples, hawthorn berries and more. 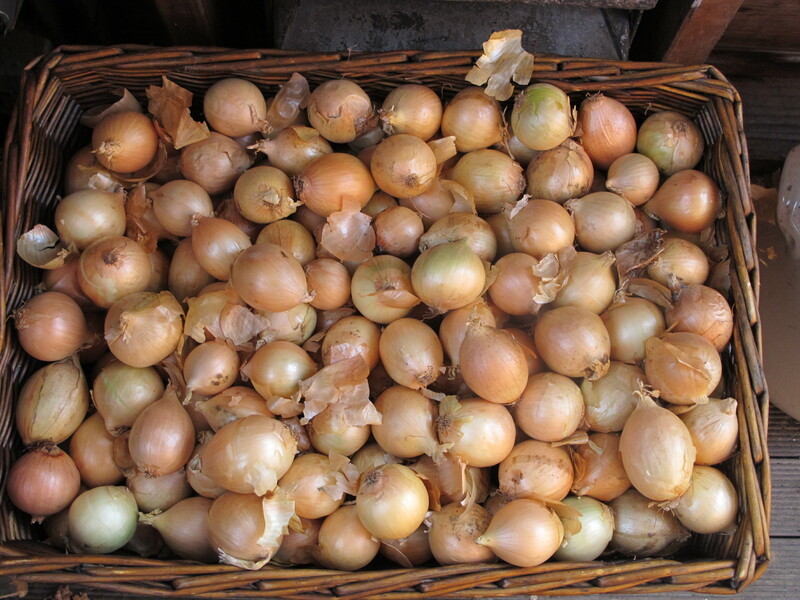 And yet this is what I found at a local market – I can never resist a good bag of pickling onions. Preserving those will just need to be added to the ‘to do’ list. Poor husband Robert has the (self-appointed) task of peeling them all. It’s just as well he doesn’t mind as I’ve ordered another bag for next week, which he doesn’t know about yet. Twenty kilos of pickled onions may seem excessive I suppose, but we ran out last year and can’t risk that happening again. What is a cheese platter or ploughman’s lunch without them? Inadequate at best. 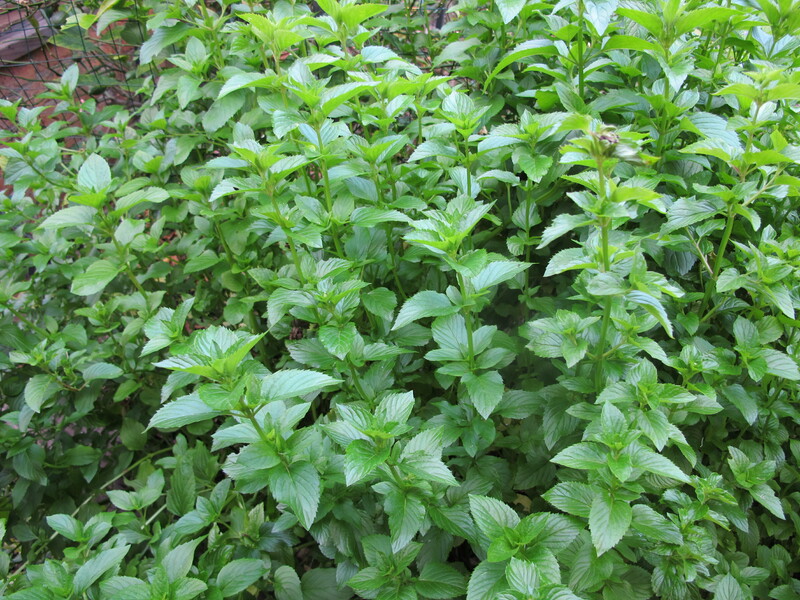 It’s also time the mint had a serious trim as it’s threatening to engulf the lemon tree. The plan for that is mint sauce, which will be available on the stall at the gate I might add. I’ll also be bottling off Worcestershire sauce, made from delicious, plump local plums, so that will be there as well. Both by tomorrow. And here are photos of what else is in store for the pots and jam pans today. At least I was able to send daughter Stephanie’s way another large crate of tomatoes for her relish. Look out for that on her stall (Steph’s Kitchen) at the Derwent Valley Autumn Festival on April 12th. 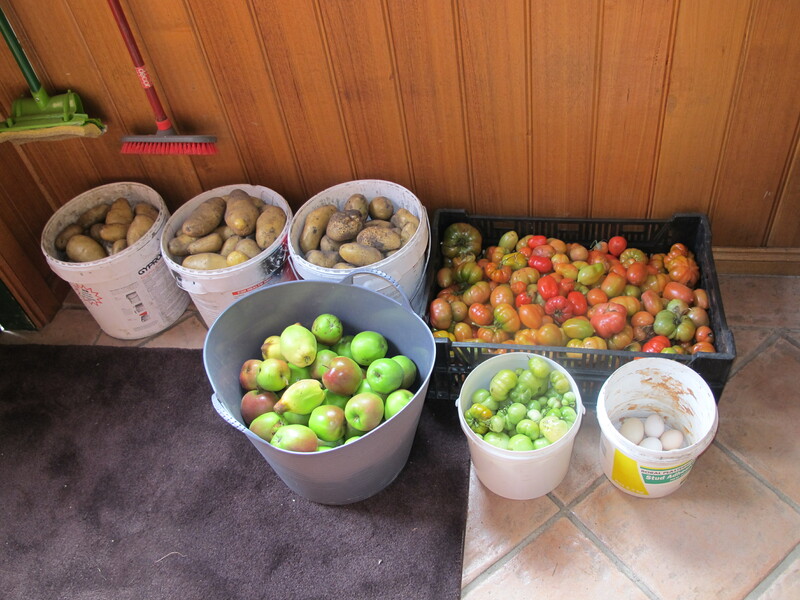 With all those potatoes from the garden, I’d like to try pickling a few. I think they would be nice in salads. That may have to wait though. 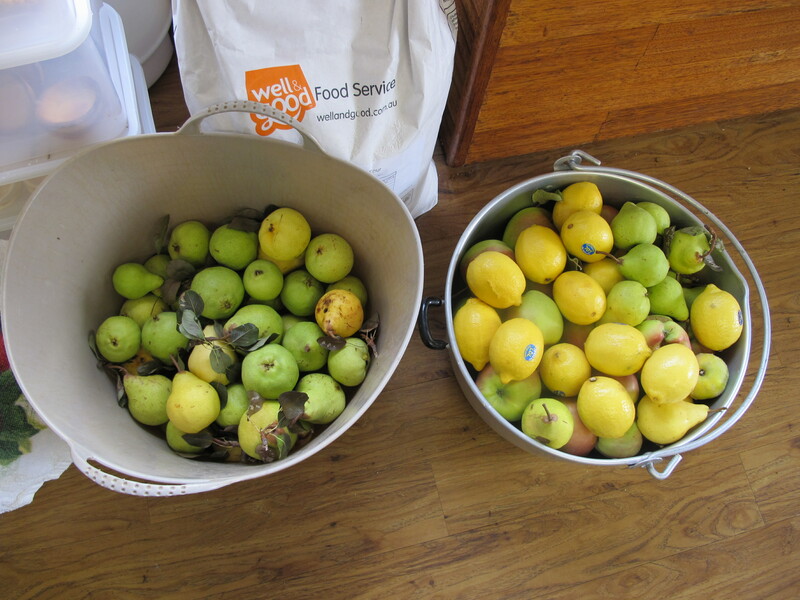 A goodly number of these below will need to be used also, though quite a few will be turned into juice this Sunday, then bottled, turned into cider and/or cider vinegar and peri-peri. 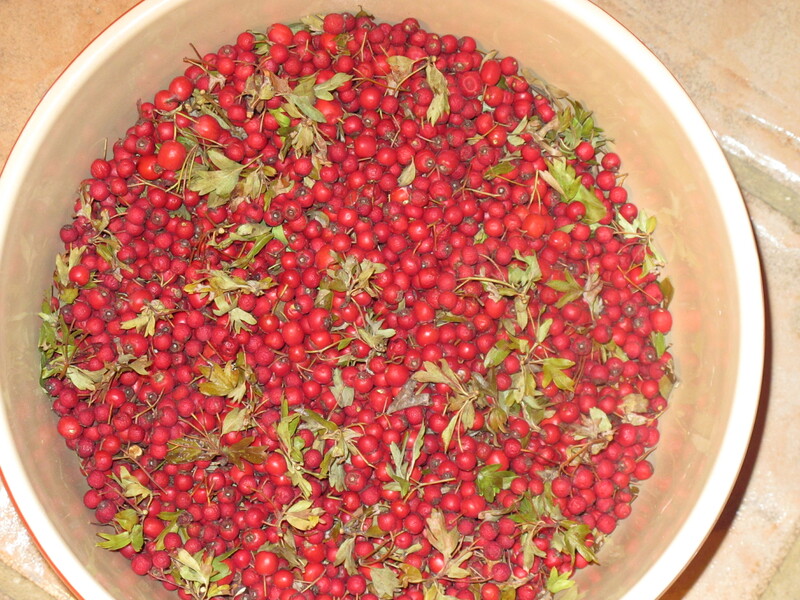 A good amount of it will be bottled and preserved by the waterbath (Fowlers-style) method so we can have a good supply for the entire year. For this we’re hiring an apple scratter from a brewing shop. 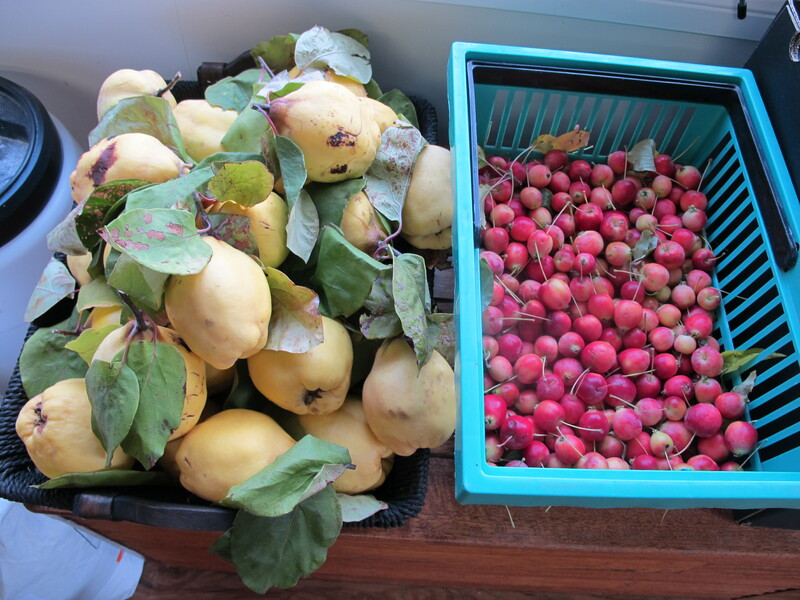 To make the cost of this worthwhile we are going to pick more fruit from friends’ trees.